Why would I need self storage in Everett, WA? There are a variety of reasons why you might need self-storage in Everett, WA. How much is a storage unit in Everett, WA? The cheapest storage unit in Everett, WA is $38.00 per month. What size storage units do you have available in Everett, WA? In Everett, WA we have sizes that range from 4'x4' to 12'x30' to suit your storage needs. How much is it for a 4'x4' storage unit in Everett, WA? The cheapest 4'x4' storage unit in Everett, WA is $55.00 per month. Everett is a large, bustling city in Washington's Snohomish County, home to the largest public marina on the West Coast. It's also known as the host of a major Boeing plant responsible for assembling 747, 757, 777 and 787 aircraft. Interestingly, the Boeing facility is among the largest buildings in the world. Everett offers a number of festivals, events and outdoor activities for residents and visitors year-round, and was awarded the title of All-America City in 2002. Everett started out as a planned industrial city in the early 1890s. In a short time, the city grew from just a few dozen people to several thousand. Throughout the years, the population continued to grow as local industry expanded. 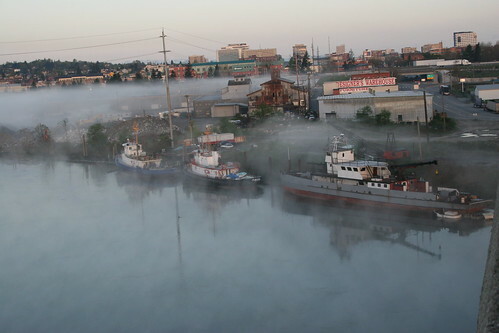 Mining and the railroad were important parts of the Everett economy for many years, and the city also built several ships that were used during the Yukon Gold Rush. Developments in the downtown area, such as the Monte Cristo Hotel, helped bring in both visitors and residents. Throughout World War II, a naval shipyard and airplane construction helped the town's industry boom. Although one of the biggest benefits of living in Everett is its proximity to the major city of Seattle, you'll find that you don't necessarily need to leave your hometown for work. Everett has local jobs in a wide variety of industries, particularly focused in the technology, service and aerospace industries. Boeing is by far the city's largest employer, providing tens of thousands of jobs at its assembly plant and related facilities. Toy company Funko is headquartered in Everett, and is a small but still-present source of jobs. Other major employers in the city include the Naval Station Everett, the state of Washington, Providence Regional Medical Center Everett and Snohomish County. The Everett Public Schools district manages the majority of public schools in the city. The district has been recognized for its outstanding academic performance, boasting a graduation rate that averages higher than 90 percent. In addition to the city's public schools, there are several private schools to consider, including faith-based, Montessori and secular campuses. Everett Community College offers two-year degree programs in a variety of fields, and there are also several other colleges and universities located either in Everett or within a very short drive. Utilities: Utilities providers in Everett include Snohomish County PUD, Puget Sound Energy and the city water department. Garbage and Recycling: Two private companies split services throughout Everett, both providing curbside collection to certain assigned ZIP codes and areas. Transportation: Everett Transit manages a large number of public bus routes throughout the city, and the Everett Station serves as the city's primary public transportation hub. Considering its proximity to Seattle, Everett offers fairly affordable housing options. Its median price is about half of what you'd expect to pay in downtown Seattle, and this affordability has played a large part in attracting new people to the area. You can choose between comfortable single-family homes, apartments and town houses, most of which have easy access to local amenities. Our lowest priced units in Everett, WA average $53.27 per month. 637 people have reserved units in Everett, WA in the past 30 days. There are 11 locations within Everett, WA's city limits. There are 3 locations in Everett, WA that offer AC and Heating features.